A puzzle book is an important training tools and its quality must be evaluated before a student starts spending time on to it. Chess is becoming more and more competitive at scholastic level and students must spend theirs chess time wisely and on the right materials. Key points to select the right puzzle book accordingly with the trainee skill level are the following. Avoid low quality books with poor reviews, books that, consider only one solution when two options are equal (your student will receive the wrong feedback for his/her efforts), copy and paste “classic examples” from previous books or that are just a random collection of puzzles without a clear direction or pedagogic value. 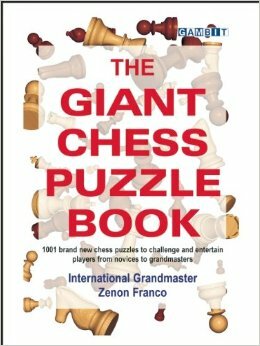 After working on a copy of by GM Zenon Franco I will recommended it to any player from 1000 USCF and up as well as to coaches looking for high quality material to conduct tactical training sessions. The book starts with an introduction to the major tactical themes such as the double attack and the pin. Later, the author develops a warm up chapter with elementary puzzles that even players under 800 were able to solve in my chess camps, next the puzzles become more and more taxing but always following a gradual increment of difficulty. For example, after one hundred and thirty puzzle the student needs to combine tactical themes to solve the puzzles. If the tactical level of a player only allows him/her to recognize a single tactical or “obvious move” to win material, the answer usually backfire unless the student recognize that the theme has to be combined with a matting threat or a double attack. In other word, the student will develop new levels of tactical awareness as he/she works through Franco’s book. The book has six puzzles per page when a hint is present for each problem or eight puzzle per page without a hint. Each solution in the book consider multiple option (if possible) and the answer receives credit. I like the fact that at the end of the chapter the author provides a detailed analysis of each position as well as the player’s names, event and date when the game was played. If one of your New Year resolution is to improve your tactical skill the Giant Chess Puzzle Book must be in your Christmas list. Recommended! 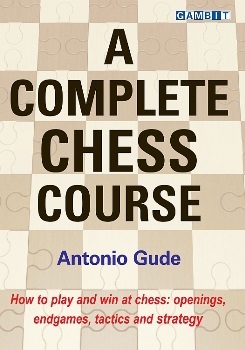 by Antonio Gude is a one volume introduction to chess. The book is divide in two main parts. The first part covers the basic aspect of chess in six chapters followed by more advance material such as combinations and tactical themes, attacking play, a suggested opening repertoire and tips to be a successful competitor at chess. The first six chapters of the book are standard with typical examples including lots of loses for Black in the Philidor Defense. The books becomes different from chapter six (Endgame play and Further Openings) until the final Chapter Competitive chess. The last four chapter are especial because the reader is introduced to advance concepts with very clear explanations and examples. The student will learn why is better to start learning the open games first and then move to semi open games. The key concept is control and Gude does a nice job explaining why keeping control of the position parallel chess strength. In addition, the author challenge the reader with relevant questions at the end of each chapter. I found that after question seventy six the material will suit players in the 1400 USCF range and will help them to cement and absorb advanced concepts in the future and also consider to build a sound opening repertoire. The section on practical or competitive chess has a novel approach and help a casual player to make the jump into the “trenches” of tournament chess. This part of the book explains why people with different goals in chess must approach the training from a particular angle. I will recommend this section of the book to parents that know the fundamental of chess but want to play in tournaments. Parents that become active chess players is a trend that is growing in Gainesville. Parents of strong scholastic players are competing in weekend open tournaments with their kids on a regular basis. 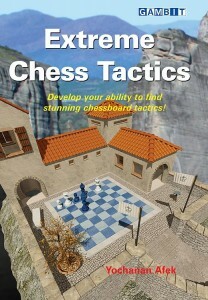 Tactics is one of the most studied topics in chess. Chess players are naturally attracted to nice combinations to overcome the opponent’s resistance and to win a chess game in style, in consequence, the study of tactics not need to be enforced and most chess players are willing to undertake it without that much trouble (in contrast to chess endgames). Unfortunately, if the work on tactics is leave entirely to the student, I notice a tendency in my trainees to practice more matting combinations and positions that require forcing move sequences than pawn promotion and other position with less pieces involved where a non-forcing move starts the winning sequence. Fortunately, the new book by Yochanan Afek’s puzzle, helps the post beginners to balance the study of tactics and get acquainted with non-forcing moves as part of winning move sequences in chess. The author has an unquestionable expertise in both, tactics and chess studies which make him the right fit to write this book. is the natural follow up after the content of Nunn’s Learn Chess Tactics is complete. The author uses a novel approach to teach tactics that in my opinion as a chess coach fills a major need in chess puzzles book in the market. Aflek divided the study of tactics on over a dozen theme (as most chess books on the topic), but combine one hundred and seventy three positions from real games with over two hundred positions coming from chess studies. This teaching method helps the intermediate/ advance player to recognize the value of studies as tactical training tools and to develop a passion for chess studies. Importantly, after working on Extreme Chess Tactics the player will enhance his mental tools to tackle over the board chess positions as his rehearsals a non-forcing approach to find the best solution to a chess position. The value of Extreme Chess Tactics to help the reader to incorporate the solution of chess studies to the training routine of a chess player is invaluable and prepares the player to work on more advance tactical training material, in addition to win more games of course. In my personal experience the only resource available in the market was to take lessons with a top GM. For example, after couple of chess training sessions with GM V. Akobian during chess Nationals couple of years ago, I developed a non-forcing way to solve positions. Akobian prepare the training session impeccably and the material on the endgame help me to defeat a world class GM with a quiet move that wins two pawns by force! In a rook endgame. 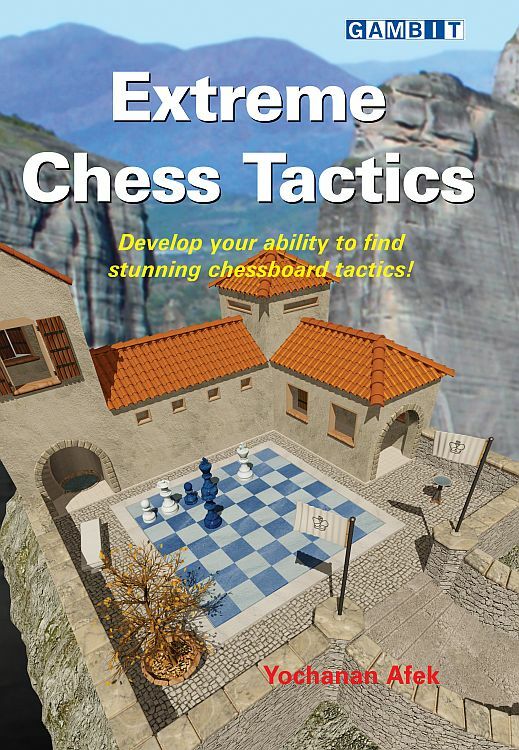 Extreme Chess Tactics provides the player with similar training material than a GM does (although Akobian’s sense of humor and the possibility to have the chess lessons in Spanish! can not be underestimate 😉 ) at a lower cost.